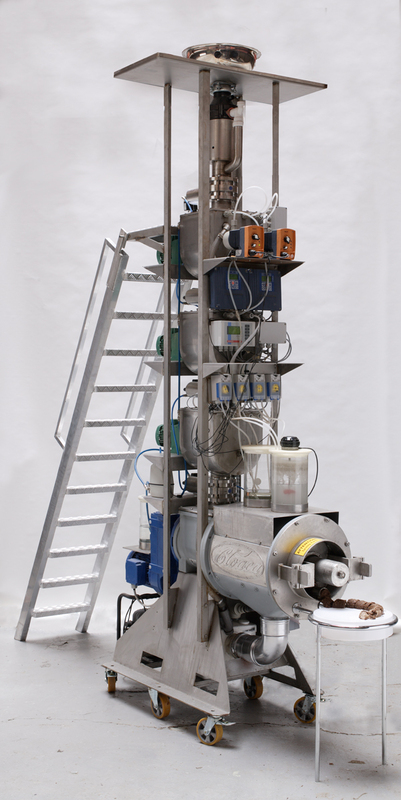 Delvoye is perhaps best known for his digestive machine, “Cloaca”, which he unveiled at the Museum voor Hedendaagse Kunst, Antwerp, after eight years of consultation with experts in fields ranging from plumbing to gastroenterology. 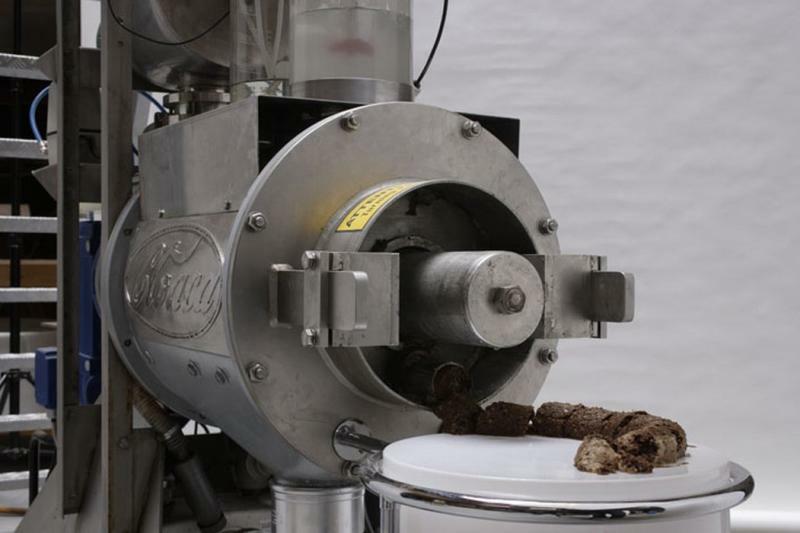 In a comment on the Belgians’ love of fine dining, “Cloaca” is a large installation that turns food into feces, allowing Delvoye to explore the digestive process. The food begins at a long, transparent mouth, travels through a number of machine-like assembly stations, and ends in hard matter which is separated from liquid through a cylinder. Delvoye collects and sells the realistically smelling output, suspended in small jars of resin at his Ghent studio. Everything in modern life is pointless. The most useless object to create is a machine that serves no purpose at all. Wim Delvoye (born 1965 in Wervik, West Flanders) is a Belgian neo-conceptual artist known for his inventive and often shocking projects. Much of his work is focused on the body. He repeatedly links the attractive with the repulsive, creating work that holds within it inherent contradictions- one does not know whether to stare, be seduced, or to look away. As Robert Enright wrote in Border Crossings, “Delvoye is involved in a way of making art that reorients our understanding of how beauty can be created.” Wim Delvoye has an eclectic oeuvre, exposing his interest in a range of themes, from bodily function, to the Catholic Church, and numerous subjects in between. He lives and works in Belgium, but recently moved to China after a court of law judged his pig tattoo art projects illegal.